Red is the color that draws our attention. It exudes passion, energy, love and adventure. Warm and positive, it can envelope us and evoke strong emotions. 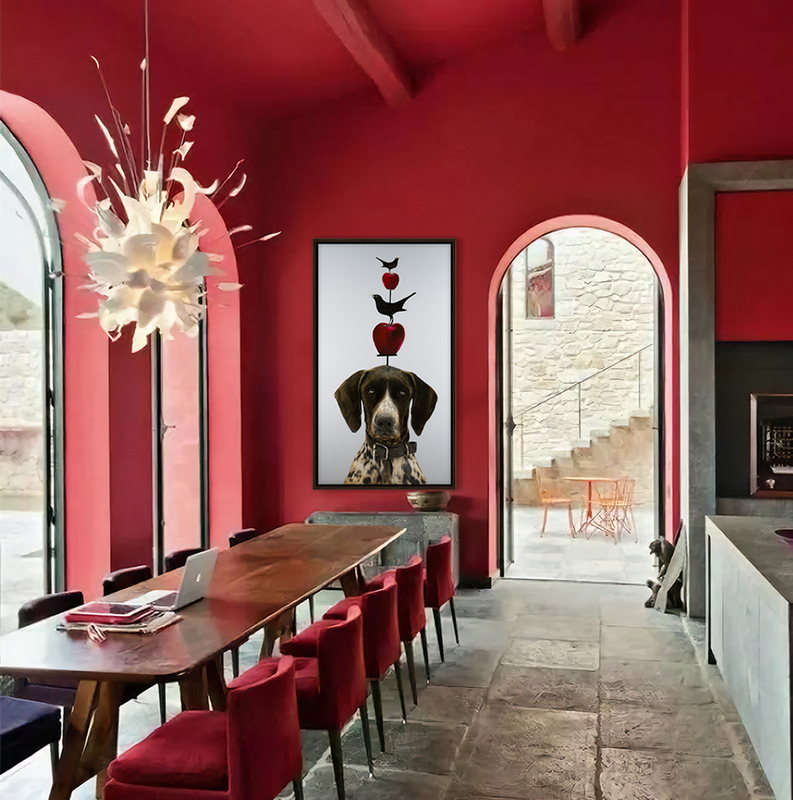 Touches of crimson or claret energize the spaces they touch. Find the red that catches your eye or suits your style and bring it into your world. Anke’s bold and playful Balance touches this casually rich dining space with an air of whimsy and familiarity. The Dane’s charming gaze invites amiable energy, while the apples tie in to the theme and color of the space. Dazzling and captivating, Charles Dwyer’s mixed-media painting The Red Robe enriches this bohemian space with a sophisticated, passionate energy. The muse’s garnet robe complements the warm accents in the room. 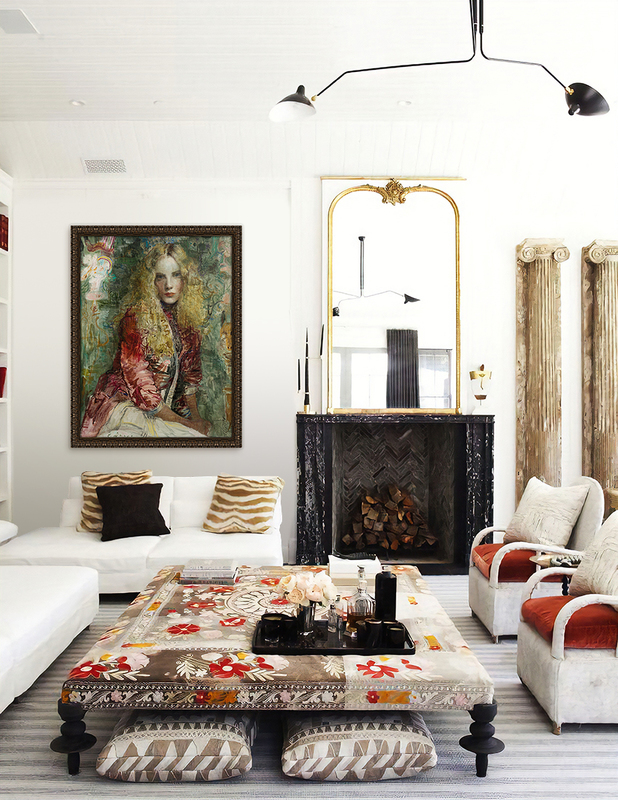 The layered scraffito and drawings throughout the painting move in harmony with the tapestry on the oversized ottoman and balance the elegant simplicity of the space. 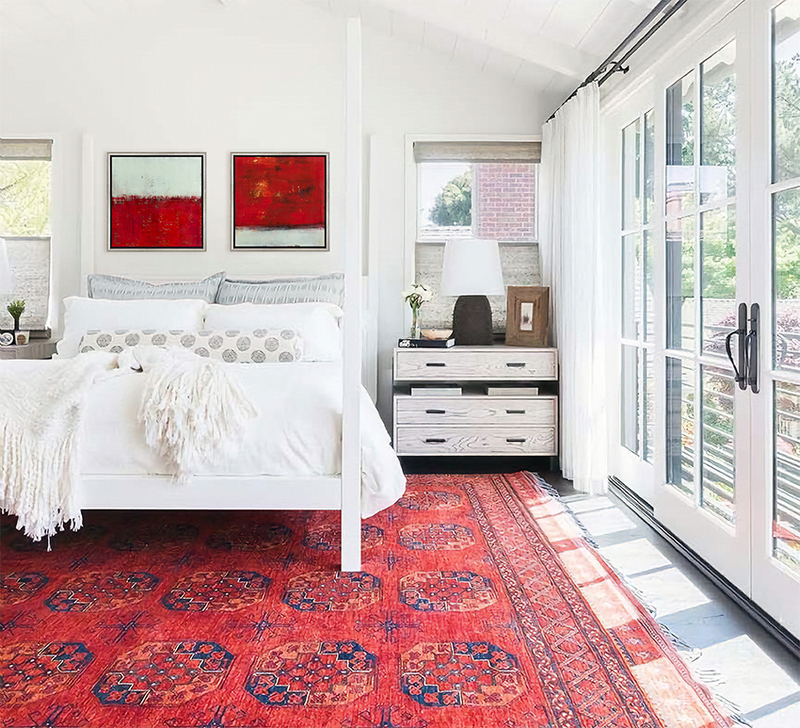 These two works from Amy Van Winkle’s Wonderful Unknown series bring a playful asymmetry to this interior, while the deep, textured shades of crimson draw you into this crisp and clean bedroom. Van Winkle’s work is influenced by her studio’s surrounding canyon on the Santa Fe River, adding warmth and intrigue to this space.